First, we should clarify: while timber pedestrian bridges and boardwalks have a design life of 10-15 years, timber foundations, or timber piles, can last much longer. We’ve already outlined the pros and cons of timber boardwalks, but today we want to focus on timber foundations and how well they can work with PermaTrak systems, under the right conditions. While PermaTrak’s precast concrete piers are generally the preferred foundation for our projects, we understand that not all projects are a good fit for PermaTrak’s piers. We also realize project budgets, loading capacity and installation requirements are not the same for every project. If site conditions require a deep foundation many designers select timber as their first material choice. According to a report from Koppers, a leading manufacturer of treated wood, you can reasonably expect treated timber piles to last anywhere from 25-50 years under proper conditions and regular maintenance. Using protective barriers can further extend the expected design life. 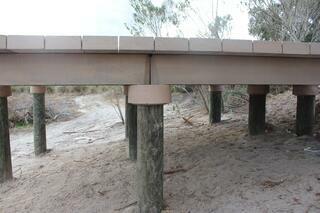 With an expected design life of 50-75 years, PermaTrak concrete boardwalk systems can coexist with timber foundations. So why are timber piles different from their timber plank/decking counterparts, and when are they the best option? 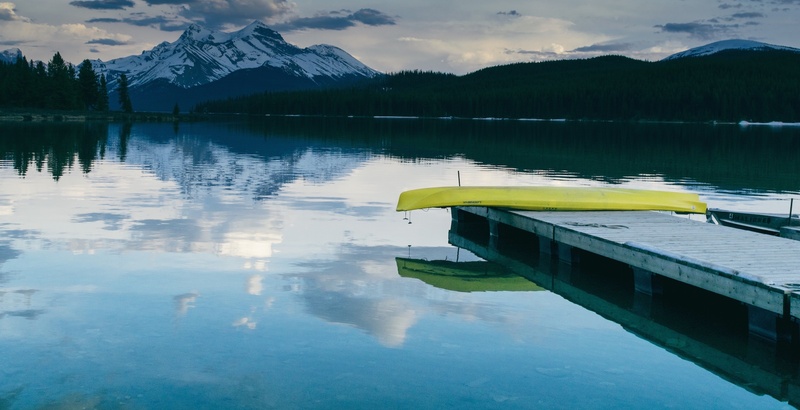 We’ve outlined some important environmental and design factors below. One of the biggest reasons that timber piles last longer than timber planks/decking is that they are less exposed to the weather. Pedestrian bridge foundations are driven into the ground and are sheltered by the bridge surface. With a PermaTrak system, a concrete cap is used on top of the timber piles to transition from wood to concrete, covering even more surface area. If a protective barrier is used on the foundations, you can expect an even longer lifespan. In contrast, a boardwalk’s timber decking walking surface is completely exposed to the elements. Wooden pedestrian bridges will deteriorate more quickly over time simply because they have more contact with the weather (UV exposure, heat, humidity, wet and dry cycles, etc.) and other external factors. Less exposure to the elements leads to a longer design life. 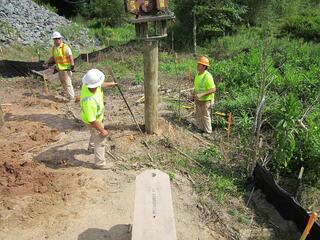 Timber pile lifespans are also dependent on how the foundations are set. Koppers claims that marine piles can last 25 years in northern waters, and 30 years in southern waters. 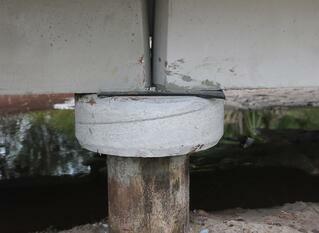 Treated foundation piles that are away from the coast and finished above ground level can last up to 50 years. We’ve talked about how timber piles can work with PermaTrak concrete boardwalk systems, and how, under the right conditions, you can reasonably expect your foundations to last up to 50 years. But what if your timber piles need to be replaced before the decking? 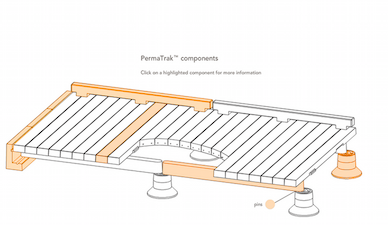 One of the benefits of installing a PermaTrak system is that it can be easily dismantled and reassembled, leaving you to only repair or replace your foundations. 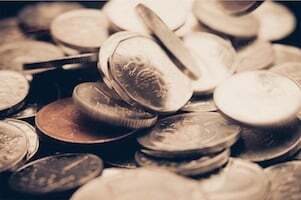 This can save you thousands of dollars over the lifetime of your project. 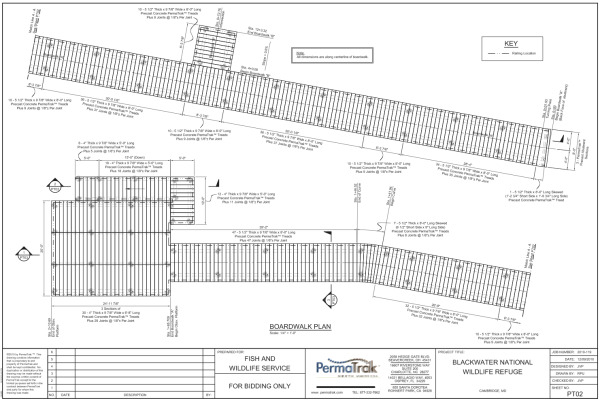 We hope this has cleared up any questions you may have about the reliability of timber foundations with PermaTrak boardwalk systems. If you have any other questions or want to speak to us in more detail about your upcoming project, let us know!